Used with our 3/8" deep / 3/4" wide aluminum T-track, this 4-piece kit allows you to make the T-track intersection as you required. Please use full set of 3/4" T-Track / Intersection Kit / Hold Down, and can work with router table, drill press table, workbenches and band saw table, even is also suitable for Miter Gauge. Ideal for use with custom jigs and fixtures ! 1. 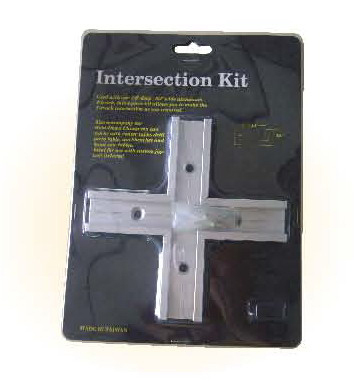 Including four pieces and mounting hardware-can make one intersection kit. 3. They are made up of 4-3" sections. 4. Include 4pcs of 1/2" screws.